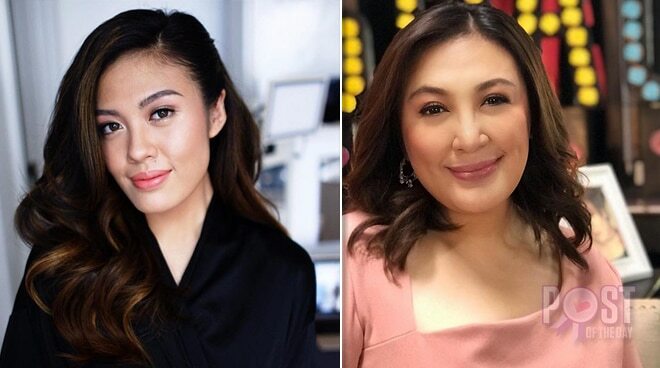 Eleven days before her daughter turns 18, Sharon Cuneta took to Instagram to express how much she loves Frankie Pangilinan and how lucky she is to have her as her daughter. “I am so blessed to have you in my life, Kakie. You make me feel like I haven’t failed at all, and for that I will forever be grateful. Thank you for loving me, respecting me, for being good and grateful daughter,” she wrote. Sharon also assured her that she would always be there for her. “No matter what may be hurting your heart, you are a good daughter. (…) I miss your hugs and kisses and always, ALWAYS your loving moral support for me in anything I do. “Thank you for being proud that you are my daughter, it means the world to me. Just like you. I love you with all my heart,” the Megastar shared. An adult in eleven days...MY FRANKIE...My darling Simone Francesca Emmanuelle. God has heard, the meaning of Simon, which her name Simone is derived from. Francesca after her Daddy Francis (his name is not Francisco, which is what many people think). Emmanuelle, another name for Jesus. My girl, my Baba. My loving, affectionate baby. I am so blessed to have YOU in my life, my Kakie. You make me feel like I haven’t failed at all, and for that I will forever be grateful. Thank you for loving me, respecting me, for being a good and grateful daughter. Remember - there is only one in the Ten Commandments that is followed by a promise: “Honor thy father and thy mother, and thou shall be blessed.” And you are, my darling. No matter what may be hurting your heart, you are and will always be blessed because you are a good daughter. Just you wait! The world is at your feet and the best is yet to come. I am crazy about you and miss you so much! You have grown up to be more beautiful (inside too!) than anyone could have ever imagined. I miss your hugs and kisses and always, ALWAYS your loving moral support for me in anything I do. Thank you for being proud that you are my daughter. It means the world to me. Just like you. I love you with all my heart. Forever, Your loving Mama. ❤️❤️❤️🙏🏻🙏🏻🙏🏻🤗😘🌷🌺💐 @juansarte Thank you so much, Juanie for making my Simone even more beautiful! We love you! Frankie is Sharon’s daughter with husband Senator Francis Pangilinan and they have two other children, Mariel Daniella Sophia whom they fondly call Miel and Miguel who was adopted by the couple in 2012. The Megastar also has a daughter with her ex-husband Gabby Concepcion, KC, who is also an actress.